← Will Multimode Fiber SFP Transceiver Work Over Single-mode Fiber? The past few years have seen the broad adoption of 10Gbps connectivity at network edge equipment. SFP+ optics include SFP+ fiber devices and SFP+ direct attach copper (DAC) cables. They dominate the 10Gbps connectivity solution in the core or spine due to the longer link lengths and higher aggregated data bandwidth. However, 10GBASE-T cable (Cat 6a/7) is proven to be unbeaten for its lower cost, ease of installation and reliable performance for 10Gbps edge network with a link length of 100 m. In order to get most of your Cat6a cabling, last year HPE and some other vendors launched a 10GBASE-T SFP+ transceiver module. It claimed to give equipment designers and data center professionals a new option in architecting their network solution. 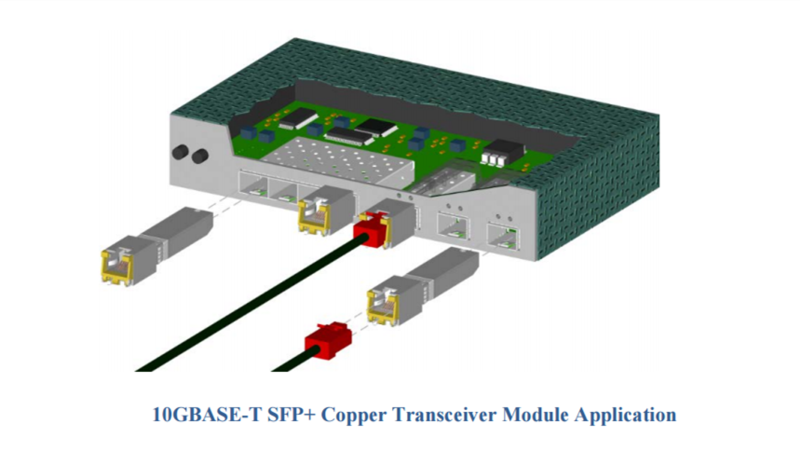 This article will provide detailed information about the innovative but controversial 10GBASE-T SFP+ copper module from a positive point of view. SFP+ 10GBASE-T RJ45 copper transceiver is typically designed for high-speed communication links that require 10 gigabit Ethernet over Cat 6a/7 cable with a link limit of 30 m. Compared with standard SFP+ SR/LR fiber optics, here are the added benefits. It uses standard-based technology with the familiar RJ45 connector and provides backward compatibility with legacy networks. Nowadays SFP+ 10GBASE-T transceiver, owing to the compatible issue with switches, is not offered by many vendors. However, from a network equipment designer’s perspective, 10G SFP+ copper modules will become popular in the near future. FS.COM recently releases some 10GBASE-T SFP+ Copper modules that are tested compatible with some brands. It is true that Cat6/Cat6a cabling can provide limited support of 10GBASE-T in some environments. But the reality is that there are some compelling reasons to specify SFP+ 10GBASE-T copper modules in a new 10 Gbps-ready data center. Q1: Vendors held that it would never be possible to create a 10Gb copper transceiver as SFP+ specification use less power than 10GBASE-T requires. But theoretically, SFP+ 10GBASE-T copper module indeed reduces the power consumption of more than 0.5 watts. The power usage, latency and heat generated for 10GBASE-T is 4-8 watts, which is considerably higher than using DAC twinax or fiber optics (nearly 1 watt). 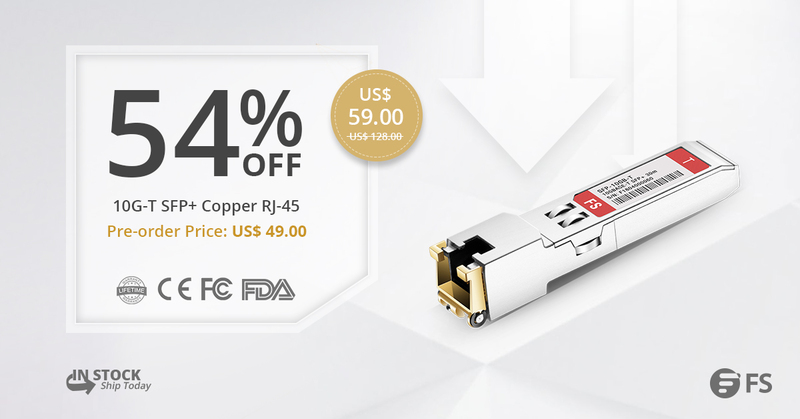 SFP+ 10GBASE-T copper module, however, uses 2.5 watts (max). Furthermore, SFP+ DAC cables (both passive and active) can only support up to 10 m. However, the SFP+ 10GBASE-T transceiver connected with Cat6a cables can cover a distance of 30 m.
The low-cost of Twinax DAC makes it a better choice for performance in ToR deployments. With 10m twinax you can usually cover up to 3-adjacent racks. 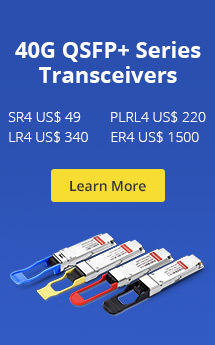 While the existing SFP+ 10GBASE-T transceivers usually charge even higher than the regular SFP+ fiber optics. Besides, you should factor in the power and cooler requirement overhead that 10GBASE-T optics brings with it. Data center managers are taking the advantages of the convenience and flexibility provided by deploying 10 Gbps technology over twisted-pair copper cabling and leveraging their investment in installed copper infrastructure. To have a great interoperability between existing fiber switches and those with 10G copper ports, 10GBASE-T copper SFP+ is introduced. However, customers nowadays still choose to use DAC Twinax or SFP+ fiber optics for 10Gbps connectivity. 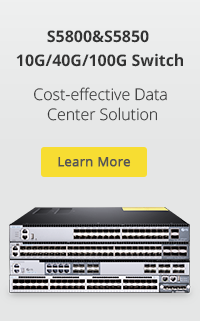 FS.COM, as a reliable OEM vendor, rediscovers 10G Ethernet with copper 10GBASE-T SFP+. Welcome to visit our website for more detailed information. 10GBASE-T vs SFP+, Which Is the Best 10G Network Solution? This entry was posted in Copper Transceivers, SFP+ and tagged 10GBASE-T SFP+, 10GBASE-T SFP+ Copper Transceivers, 10GBASE-T SFP+ HP, 10GBASE-T SFP+ module, copper twinax cable. Bookmark the permalink.